It's been a while since the amazing modular sound design and performance environment has been updated, but a new version of Reaktor is finally on the way! 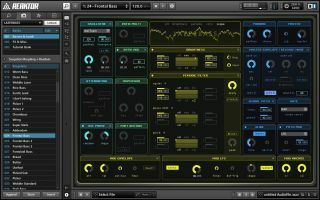 The new version of Reaktor has been released in beta form, and the list of new features and improvements will put a smile on the face of anyone who has been waiting the age it has taken for Native Instruments to update their pièce de résistance. Highlights include new additive and modal synthesis capabilities, the ability to load instruments as ensemble and vice versa, revised one-window GUI with flexible split view, and new "structure bookmarks" feature. You can see the full list here. To be eligible to download the beta you need to be a registered Reaktor 5 user, and for more details on the update check out Native Instrument's official forum post.